International Journal of Innovative Science and Modern Engineering (IJISME) is having ISSN 2319-6386 (online), monthly international journal, being published in the months of January, February, March, April, May, June, July, August, September, October, November, December by Blue Eyes Intelligence Engineering and Sciences Publication (BEIESP) Bhopal (M.P. ), India since year 2012. It is academic, online, open access (abstract), peer reviewed international journal. It aims to publish original, theoretical and practical advances in Computer Science & Engineering, Information Technology, Electrical and Electronics Engineering, Electronics and Telecommunication, Mechanical Engineering, Civil Engineering, Textile Engineering and all interdisciplinary streams of Engineering Sciences. 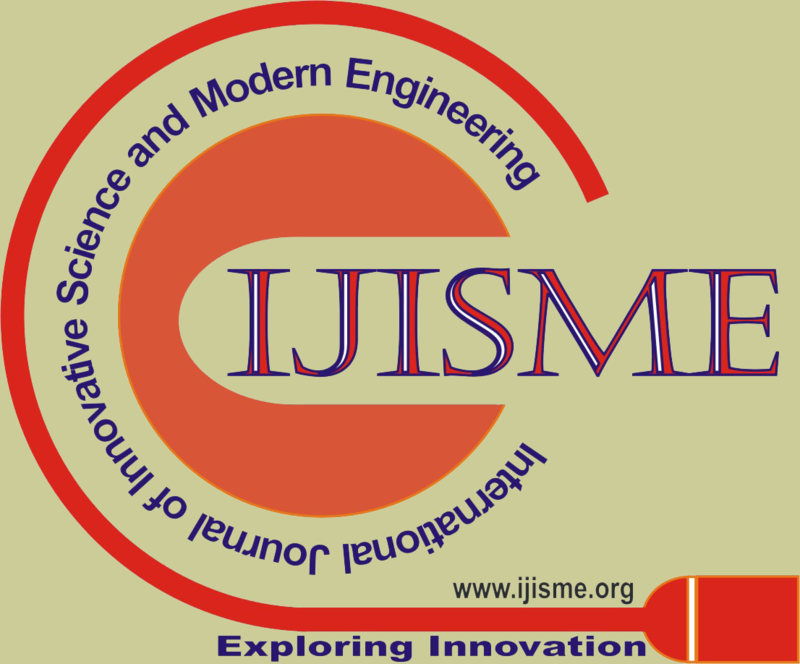 All submitted papers will be reviewed by the board of committee of IJIME. The aim of the journal is to disseminate original, scientific, theoretical or applied research in the field of Engineering and allied fields. It provides a platform for publishing results and research with a strong empirical component. It bridge the significant gap between research and practice by promoting the publication of original, novel, industry-relevant research. Original and unpublished research papers, based on theoretical or experimental works, are solicited for publication in BEIESP. We publish two types of issues; Regular Issues and Theme Based Special Issues (announced from time to time). Plagiarism Check: Good quality plagiarism software (refer either Turnitin or iThinticate) will be used to check similarity that would not be more than 20%. Quality Check: All submitted paper will be pre-reviewed by a panel to verify and validate the scope of the paper. Paper should be result oriented. Paper Submission Criteria: Any one author cannot submit more than two papers. Review: Those papers having less than 20% plagiarism and within the scope of the conference will be submitted for the review process. One paper will be reviewed by three reviewers from different locations and average marking of the comments for the respective paper will be subject for the acceptance/ rejection. Review Criteria: Reviewers should know about the criteria of the review process so that reviews will mark the comments, why he/she is accepting/rejecting the paper. For example- methodology, new innovation, etc..
Review Time: Allocation of review time for one paper should be minimum 15 days. eCopyright: All authors will submit ecopyright to the Journal/ Blue Eyes Intelligence Engineering and Sciences Publication. Template: All accepted papers should be formatted as per Journal Template. In the case of failure, the paper will be suspended from the database of journal and publishing house. Conference proceeding to be published special volume/ issue of the journal along with an ISSN. In the conference proceeding, there will be conference name and respective details of the institute/college in the left top corner of the paper while journal name and volume no/ issue no will be in the right top corner of the paper. It will be available in the every odd page of the paper. Copyright Property: After the publication, conference proceeding will be property of publishing house and journal.